Making custom party decorations doesn't have to be expensive or time-consuming. 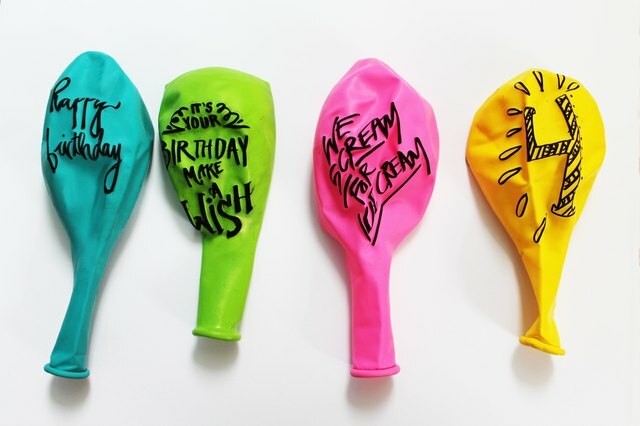 With just a few basic materials you can transform plain balloons into personalized party pizazz. 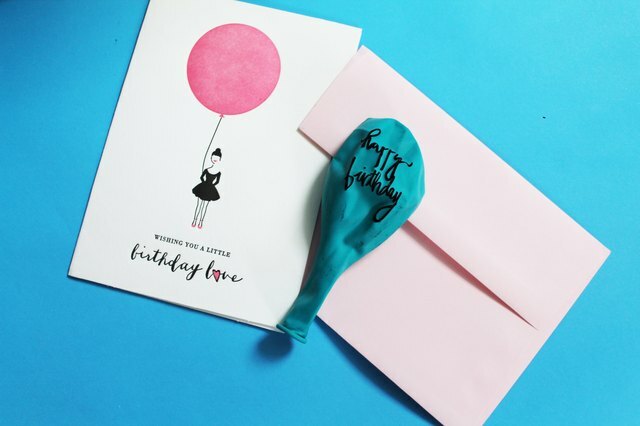 Send handwritten birthday wishes or blow-up invitations by following the easy steps below. Inflate several latex balloons with air or helium. 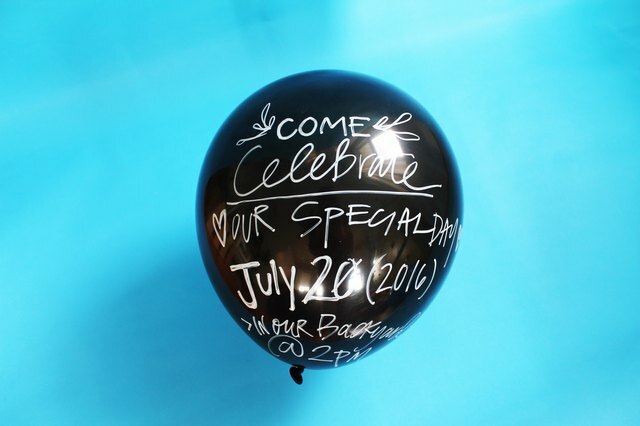 Hold a balloon in your lap and freehand a message with a black or metallic permanent marker. Want to create an invitation sure to secure a RSVP? 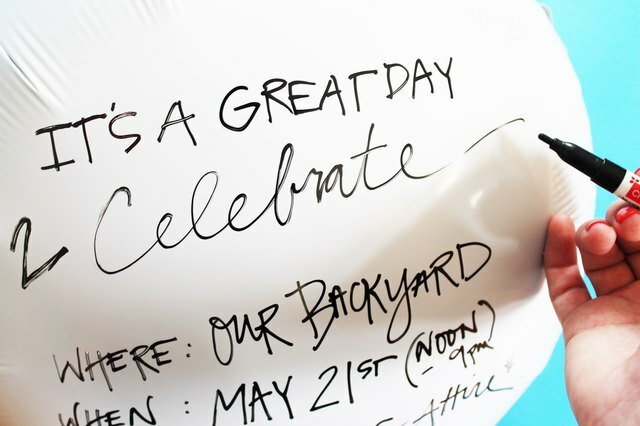 Write party details on a black balloon with a white paint pen for a fun chalkboard look. 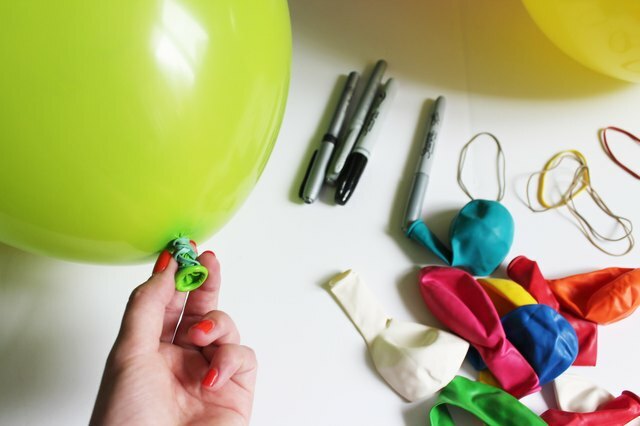 Inflate a latex balloon with air and temporarily secure the end with a rubber band. Using black or metallic permanent marker, pen a message and let dry. Create even spacing between lines and lettering with temporary guides created from thin strips of masking tape. Remove the rubber band and deflate the balloon before enclosing in an envelope to send to friends. 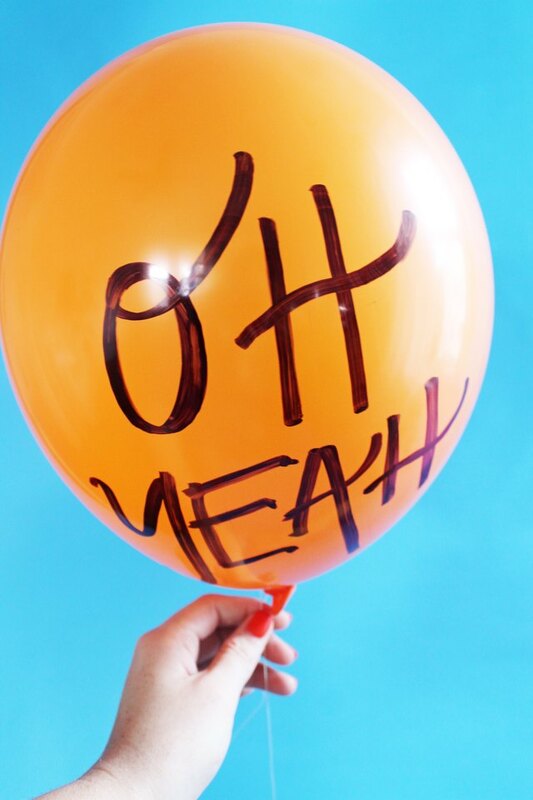 Inflate several mylar balloons with helium. 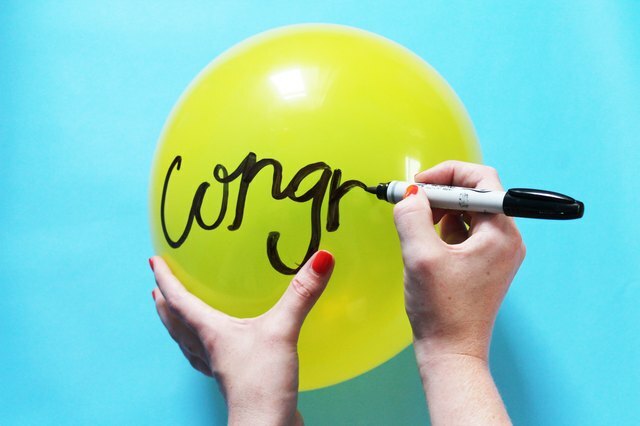 Hold a balloon in your lap and free-hand a message with a paint pen. Test your paint pen and script on a scrap piece of paper to avoid mistakes or misspellings. Repeat the message on both sides of the balloon to ensure the text is visible from any angle. Aiming for typographic perfection? Use stencils to trace your letters in permanent marker. Dress up your balloons with tissue tassel tails or brightly colored ribbon. Leave any questions, comments or economic party ideas in the comments below!